JIGUANG released a report on home furnishing APP development in China market last year. Kujiale ranked the second customer's favorite APP. Jan 17, 2019 /EqualOcean/ - JIGUANG (NASDAQ: JG) released a market insight analysis article for home furnishing app industry, in which it calculated the home furnishing APP customer volume reached 6.81 million in 2018 and stated over 85% of users only installed one home furnishing app. 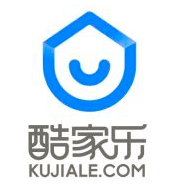 Kujiale provides a platform featuring cutting edge technology such as Cloud Rendering, AR and VR, designed to connect global designers, home and furnishing brands, decoration companies and homeowners, to build a healthy and integrated eco-system to solve the obstacles facing China's Home Furnishing industry. According to JIGUANG's home furnishing APP Customer's Preference Index, Kujiale ranked the second with an index of 78.40, slightly lower than the No.1 Haohaozhu, with an index of 80.92. The interesting fact is Haohaozhu does not feature any high tech element at all, while winning warm welcome from users. The result possibly indicates Haohaozhu is easier to be used, compared to its fancy but complicated counterpart Kujiale, because of its simple structure and plain interface design. 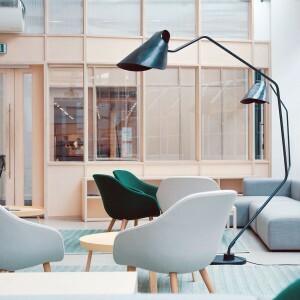 The statistics also revealed that the industry penetration rate of the home furnishing app has stabilized after the rapid rise in Q1 in 2018, and the upward trend of the industry penetration rate has reappeared in Q3. As of October 2018, the industry penetration rate of home furnishing app was 0.62%. In the past year, the number of home furnishing apps installed by users has been slowly declining. As of October 2018, the number of home furnishing apps installed by per user is 1.21, down 7.63% compared to the same period last year. Although the user volume has grown significantly over the past years, with the growing number of home furnishing platforms offering one-stop solutions, many users begin to prefer installing only one home furnishing app on their devices. The analysis showed by JIGUANG reflected that 85.51% of users only install one home furnishing app on their device, 10.27% of the users install 2 APPs, and only 4.22% install 3 or more APPs. This may suggest customers are becoming pickier when choosing suitable APP to install; this could lead to pressure for APP developers as customer volume will be more difficult to enlarge. Founded in 2011, JIGUANG (NASDAQ: JG) is China's leading mobile big data service platform. JIGUANG is dedicated to providing mobile application developers with stable and efficient services such as notification, instant messaging, statistical analysis, SMS and so on.